Weblate currently supports Git (with extended support for GitHub, Gerrit and Subversion) and Mercurial as version control backends. The proxy setting needs to be done in the same context which is used to execute Weblate. For the environment it should be set for both wsgi and Celery servers. The VCS configuration has to be set for the user which is running Weblate. Please be prepared to some inconvenience when using Git remote helpers, for example with Mercurial, the remote helper sometimes tends to create new tip when pushing changes back. # DATA_DIR is set in Weblate settings.py, set it accordingy. 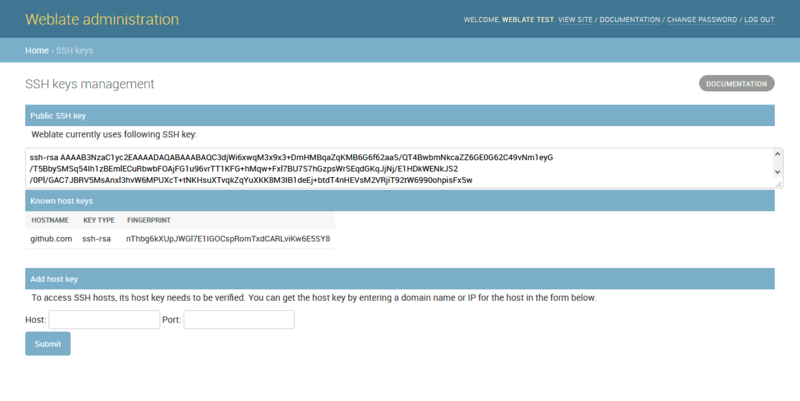 The hub will ask you for your GitHub credentials, retrieve a token and store it into ~/.config/hub. This file has to be readable by user running Weblate. 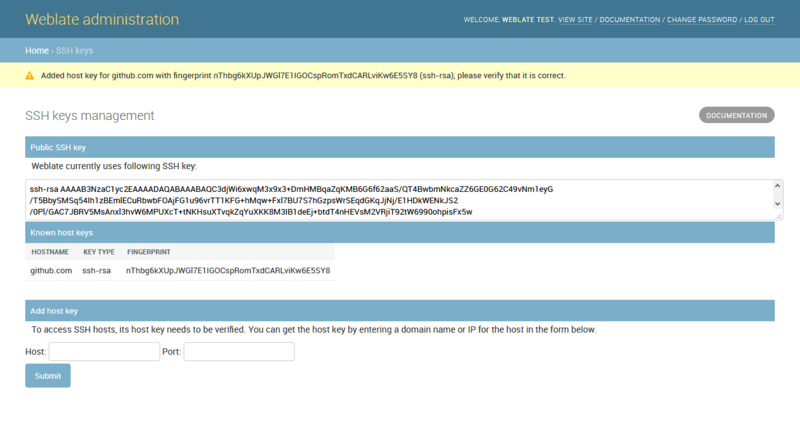 Use the username you configured hub with as GITHUB_USERNAME (WEBLATE_GITHUB_USERNAME for the Docker image). Adds a thin layer atop Git to allow pushing translation changes as Gerrit review requests, instead of pushing a directory to the repository. Currently uses the git-review tool to do the integration. Please refer to the Gerrit documentation for setting up the repository with necessary configuration.